Canada's Reference 3A showed the latest version of their popular Dulcet loudspeaker: the Dulcet Be. The Be stands for beryllium, which is the material the tweeter dome is made of. What was surprising was when company president Tash Goka told us that they make the entire tweeter from scratch (the beryllium-dome tweeters used in most speakers are sourced from driver maker Scan-Speak). The Dulcet Be sells for $1990 per pair and comes in an attractive NEXTEL finish, which has a suede-like feel. 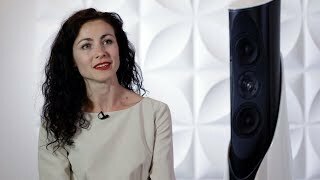 Focal’s Canadian distributor, Plurison, used SSI 2013 to debut the company’s freshly redesigned 700-series of loudspeakers, which comprises the 714, 716, and 726 floorstanders (priced at $1195, $1495, and $1795 per pair, respectively), and the stand-mounted 705 and 706 models (priced at $495 and $595 per pair, respectively). There is also a center-channel (CC700), surround (SR700), and sub (SW700) to flesh out a full surround-sound system. Cosmetically, the new 700-series models look quite a bit different from their predecessors, mostly because of the curved side panels. On the technical side, the . . .
. . . tweeters have been upgraded to include a Poron-based suspension system, which is what’s used in the company’s upscale Electra and Utopia lines. This new suspension system is said to deliver faster and more accurate response, as well as longer life since Poron is said to last 100 years! Here's something we didn't expect to see: a power amp from Resonessence Labs. The company, at least as we've known it, makes DACs (the Invicta and Concero, which the Brothers Sundaram -- S. Andrea and Sathyanwere -- reviewed on the SoundStage! Network). 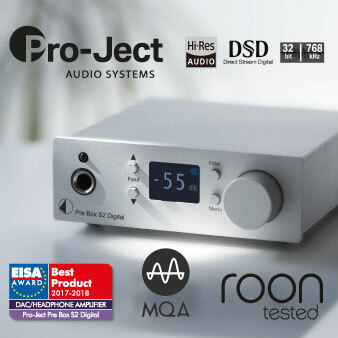 Hans Looman, the Projecta's designer, says that his new amplifier runs in class A, but gets only slightly warmer than a traditional A/B design, and is rated to deliver 100Wpc into 8 ohms and 200Wpc into 4 ohms, and is stable to below 1 ohm. When asked how it's operating in class-A but not generating much heat, Hans said that was the secret, but he did offer a hint: "We use an extremely high number of transistors." He emphasized extreme. Interesting. No pricing for the Projecta has been established, but it will be available in the second half of 2013. Goerner Communication is the North American distributor for Grandinote, which is located in Italy. On display at SSI 2013 was the new Demone monoblock amp, a 60W, no-feedback, pure-class-A design that uses an autoformer in the output stage, which the company says will make it perfectly stable into any load. 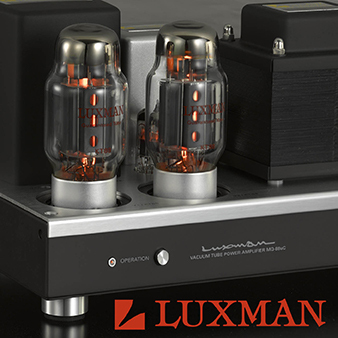 The Demone sells for $49,000 per pair, so it is not cheap, but the company also offers the Futura, which looks pretty much the same, and is still a 60W, no-feedback, class-A design, but simply uses a lower-cost transformer in the output stage. The Futura sells for $27,000 per pair, and it can actually be upgraded to a Demone if the consumer wishes to go that route after buying. Goerner Communication also showed the matching Grandinote Domino linestage and Celio phono stage, which are priced at $16,660 and $8750, respectively. The Domino and Celio are both pure-class-A, no-feedback designs, and have no capacitors in the signal path. Kudos to Britain’s Kudos Audio -- they're consistently bringing out new speakers. New at this show was the Cardea Super 20, which is a two-way design with a paper-cone midrange-woofer and SEAS Crescendo K2 tweeter, which is the same tweeter that's used in the company's pricier T88 model. The cabinet, which is MDF, is available in a real-wood veneer or satin-white paint. Kudos claims for the Cardea Super 20 a sensitivity of 88dB (1W/1m), an impedance of 8 ohms, and an average in-room response of 30Hz-30kHz. The Cardea Super 20's price is $8500 per pair. We won’t pretend that we fully understood what was going on with the LEEDH E2 loudspeaker from Acoustic Beauty, which is located in France and was founded by French acoustician Gilles Milot, but there was definitely something special going on here. According to the company's literature, its technology was derived from work done at the University of Maine, which is located in France, and they claim these breakthroughs result in an "ironless motor and suspension with ferro-fluid seal." Indeed, a close inspection of . . .
. . . the midbass driver reveals a driver assembly quite unlike anything we’ve seen. What’s more, company reps say that each driver enclosure is also the magnet -- it’s said to be made from neodymium. From what we can tell, the E2 is a four-way design with one tweeter, one midrange driver, two midbass, and two bass drivers. It appears that the midbass and bass drivers, which fire to the sides, do so in phase, and reportedly their diaphragms are made of carbon fiber. The . . .
. . . crossover is housed in the compartment at the bottom of the speaker, close to the bass drivers. The E2’s sensitivity is said to be 82dB (2.83V/1m), which is fairly low, but its power handling is high: 500W. They also claim that the E2 is only down -8dB at 20Hz, which, if true, makes the E2 darn close to full-range. The E2 is priced at $25,000 per pair. Obviously, this is a speaker system we’re going to follow up on because it looks very, very interesting. O2A Cables was established in 2007 in Liechtenstein by Anna Popova, the company's president and chief designer. Anna, a Russian-born electrical engineer, has since designed a complete line of speaker cables, interconnects, and power cables. Anna is shown with the Delivrance HP speaker cables, which are priced at $1554 in Canada for a 3m pair, and the Quintessence Sublime mains cable, which is priced at $2428 for a 1.8m length with Oayide F1 connectors, and $1383 for the same length with standard connectors (Anna said that 1.8m is the optimum minimum length for a mains cable). The Delivrance speaker wires and Quintessence Sublime power cable use copper-beryllium conductors, and their construction appears to be of very high quality. GutWire’s yet-to-be-named USB cable features proprietary connectors made from beryllium-copper, with internal pins made of platinum-coated 4N copper. The cable’s price will be $249 for a 1m length when it becomes available in the summer of 2013. More wire! Madison Audio Lab is a relatively new cable company founded by Matthew Bond, formerly of Tara Labs. The ERS-1 (ERS stands for Extreme Reference Standard) is the company’s third-from-the-top speaker-cable model. Each cable is said to contain a “trio of six conductors, helix grouped,” resulting in a total of 18 per channel. The conductors are sourced from Japan and are composed of single-crystal, oxygen-free 8N copper. The ERS-1 speaker cables are priced at $780 for a 2.5m pair, and come with banana and spade-lug connectors. 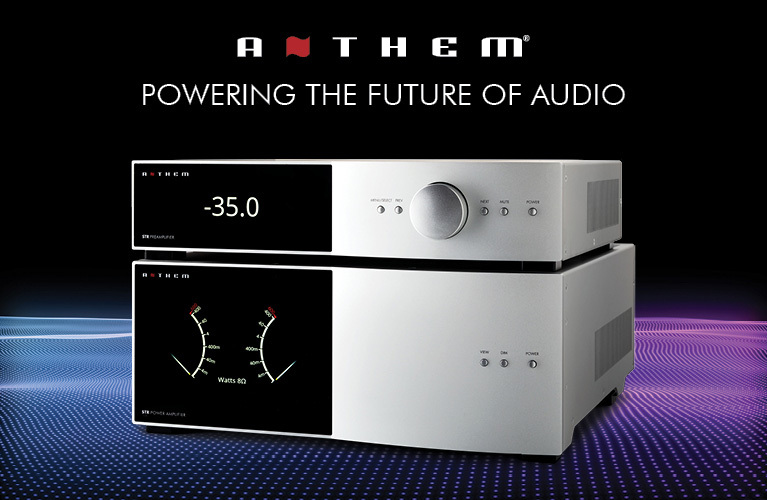 According to Richard Kohlruss at VMAX Services, the Canadian distributor for Synthesis (based in Italy), SSI 2013 might be a world premier for the Roma EL34 integrated amplifier since it just went into production. The Roma is said deliver 50Wpc into 8 ohms and is priced at $3500. The Gradient 5.0 is a unique, compact loudspeaker derived from the company's floorstanding Evidence model. 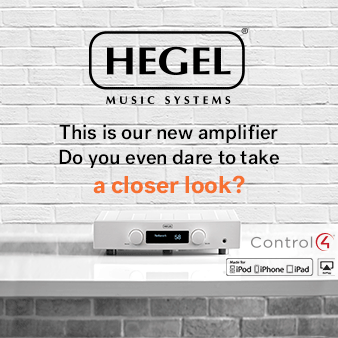 Like the Evidence, the 5.0 features a front-firing, custom-made SEAS coaxial driver, which allows the speaker to offer point-source performance, resulting in equal dispersion in all directions and allowing for horizontal or vertical mounting. It also features a rear-firing passive radiator, which works to augment the bass. Another feature of the 5.0 is . . .
. . . the grille cloth, which comes in a variety of colors. There are also four wood finishes: painted white, painted black, light ash, and walnut. Obviously, the 5.0 is intended to be décor friendly. It’s also fairly wallet friendly -- the price for the 5.0 is $1990 per pair. There's nothing like a good demonstration to make a point. Two Evidences were just off to the side of the 5.0s. Behind them a grey grille cloth in plastic. The Evidence's and 5.0's grille cloths can be removed, changed, and even dry-cleaned! Tri-Art, which is based in Kingston, Ontario, Canada, keeps on doing some innovative things with bamboo. What’s more, they’re making everything in Canada. New at SSI 2013 was a new CD/DVD player called The Pebbles. The Pebbles' main case is bamboo, but the transport is mounted on a ½”-thick aluminum plate. The disc itself is held in place by a bamboo-brass clamp. The Pebbles CD/DVD player’s price is $550. Tri-Art also showed their new entry-level turntable, also called The Pebbles. The Pebbles features all-bamboo construction, including the arm and platter. According to company founder Steve Ginsberg, the tonearm is a “uni-pivot” design, meaning it pivots freely in all directions. The Pebbles’ price is $1200, including tonearm (but no cartridge). DeVore Fidelity’s new Orangutan O/93 loudspeaker features a 1” horn-loaded, soft-dome tweeter and . . .
. . . a 10” paper-cone woofer with a phase plug and large but very thin rubber surround (which designer John DeVore says is how they keep the sensitivity up, since it moves quite freely). 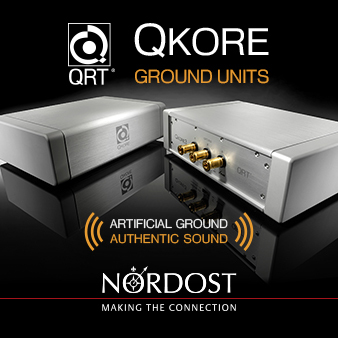 The O/93 is said to have a sensitivity of 93dB (1W/1m) and a nominal impedance of 10 ohms, which, added up, means that it’s very easy for tube amps to drive. The O/93 is priced at $8400 per pair. Gala-Solo is a brand new Quebec, Canada-based company, and M2 is their first product. The M2 is a two-way design with the 1" soft-dome tweeter crossing over to the 6.5" midrange woofer at 2000Hz using fourth-order slopes. The price for the M2 is $2700 per pair.